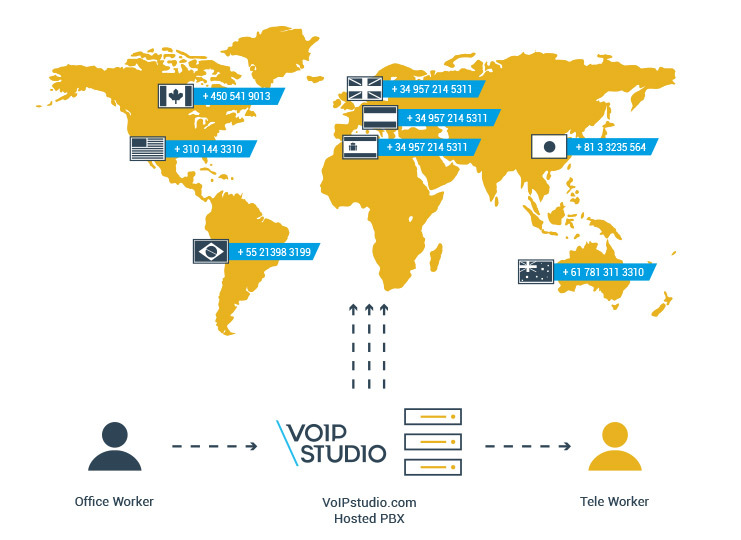 VoIP telephone numbers in more than 4000 cities around the world. 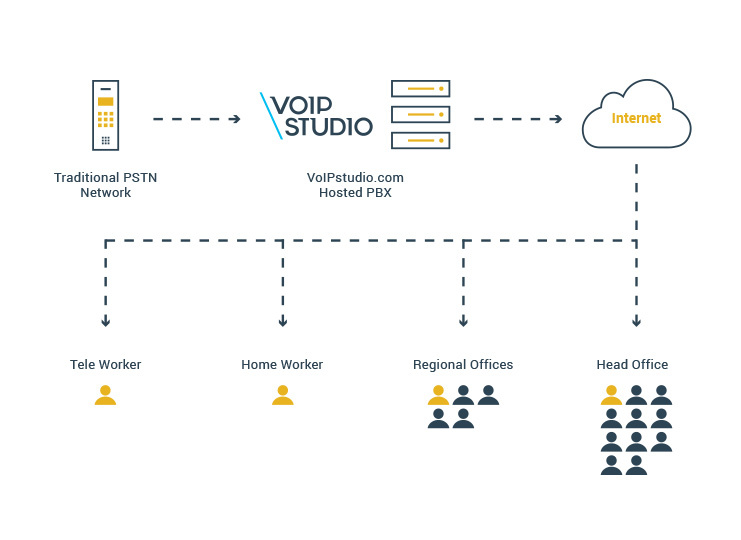 Typically the DID (incoming) number is directed to your Virtual Reception which manages the call and transfers the caller to their chosen department or extension. Enable your co-workers to talk to each other for free, whether they are in the next room, building, city or on the other side of the world – they are just one extension away.